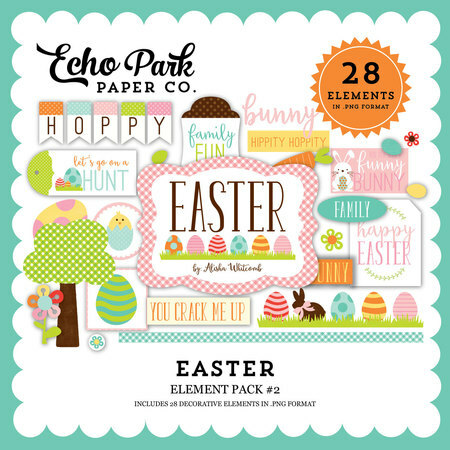 One Buck Wednesday - Easter Element Pack #2 - Snap Click Supply Co.
Don't miss out on the One Buck Wednesday deals! These digital papers are perfect for printing and using in your crafting projects and this is just one of the many packs available this week. See them all here. Hippity, hoppity look who's on his way! It's Peter Cottontail making a special appearance in our "Easter" collection. This year he's delivering chocolate covered bunnies, colored Easter eggs, and all the treats that represent this holiday season. Hop to it and make an Easter craft or two that are as colorful as this collection. It's sure to make this special day even more memorable.This paper pack includes 28 decorative elements in png format. Source: Easter Element Pack #2 - Snap Click Supply Co.